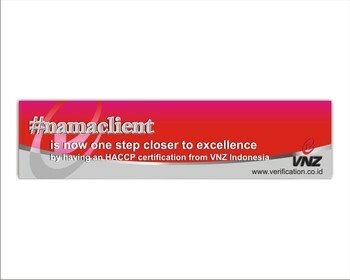 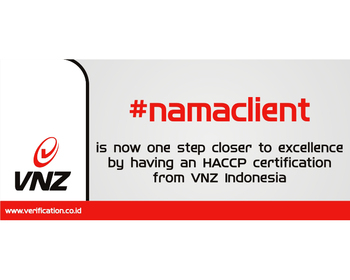 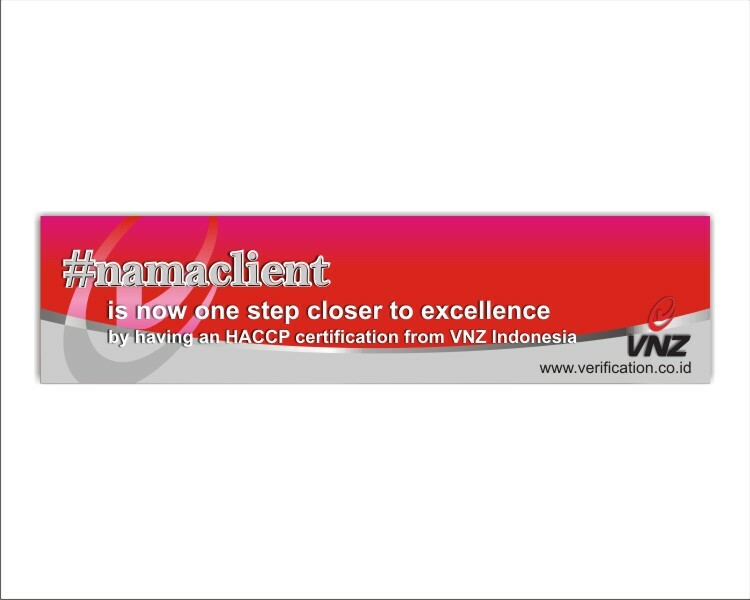 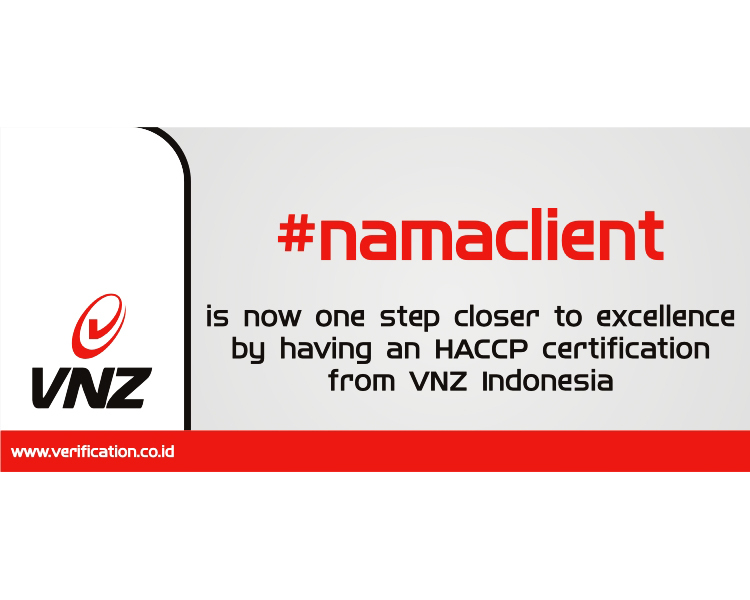 " #namaclient is now one step closer to excellence by having an HACCP certification from VNZ Indonesia "
dan website kami di bawahnya "www.verification.co.id"
VNZ Indonesia is an international certification body offering third party assessment of management systems across a broad spectrum of industry discplines. 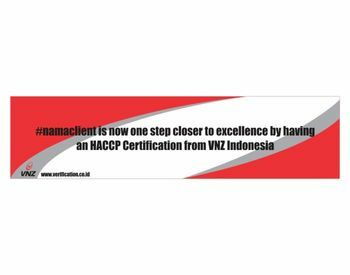 Quality Management System (ISO 9001) have been used as a base for ensuring consistency and quality in both service and manufacturing organizations for some time now. 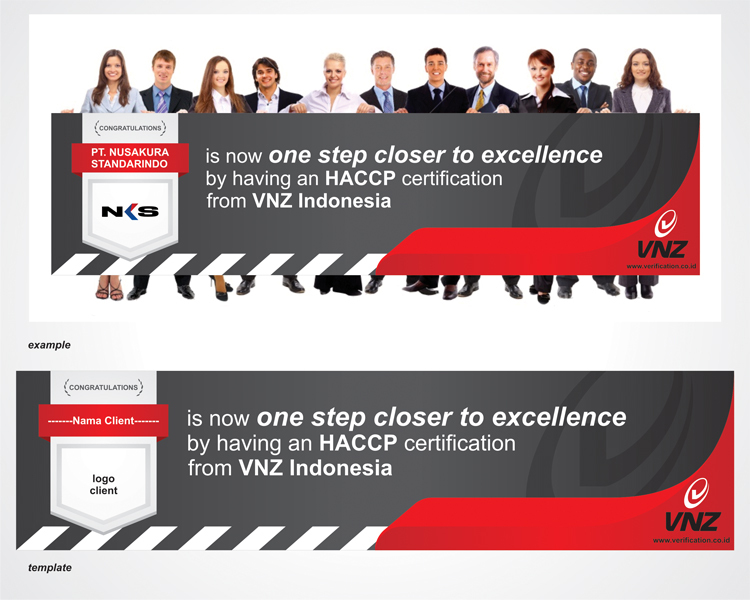 Verification firmly believes that our ISO 9001 certification process is both robust and demanding, thereby challenging and driving our clients toward realistically achieving a goal of excellence.